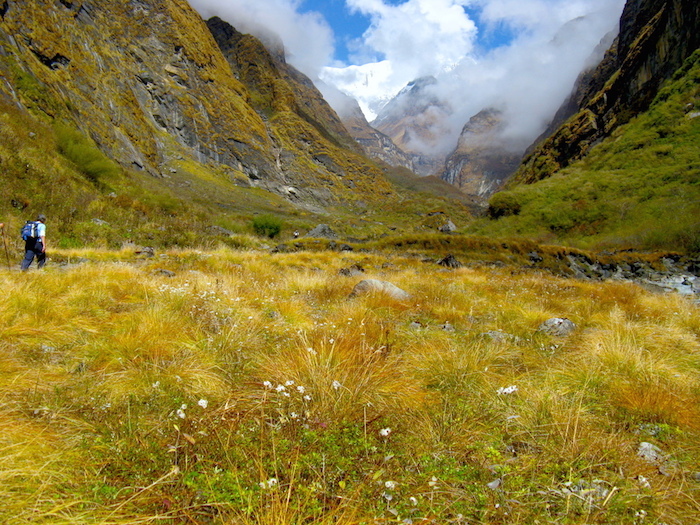 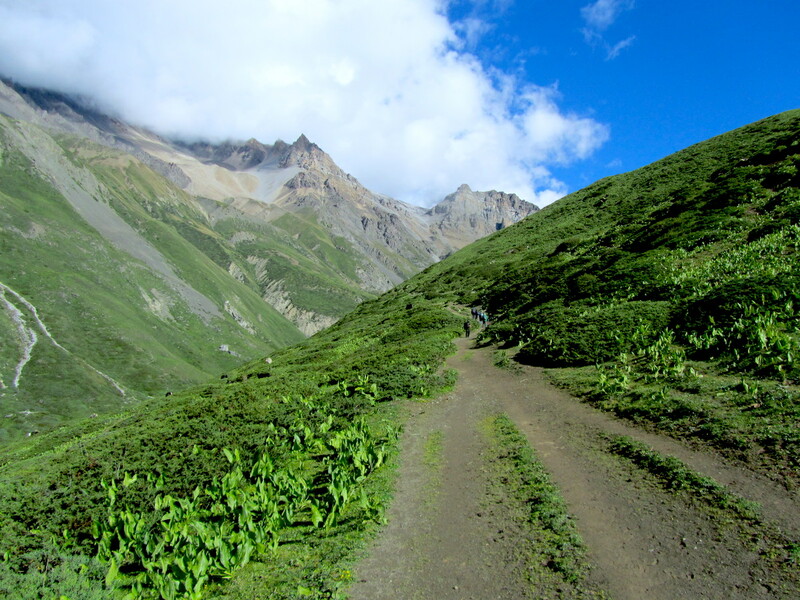 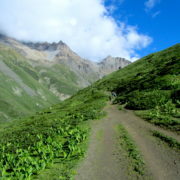 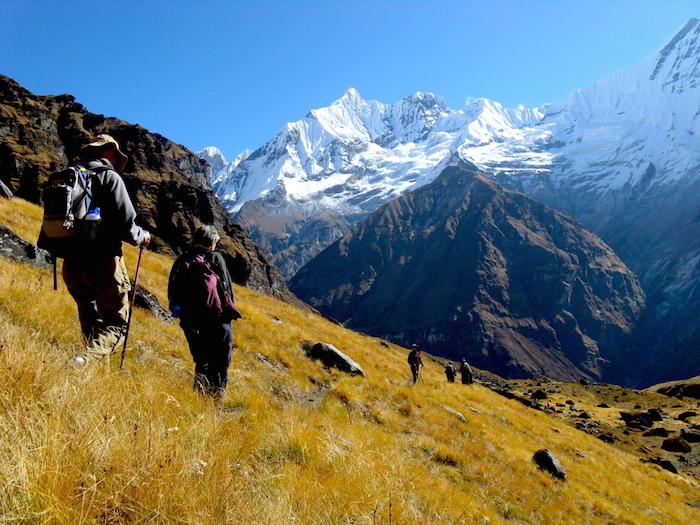 Trekking in Nepal is one of the most rewarding adventures you can engage in. 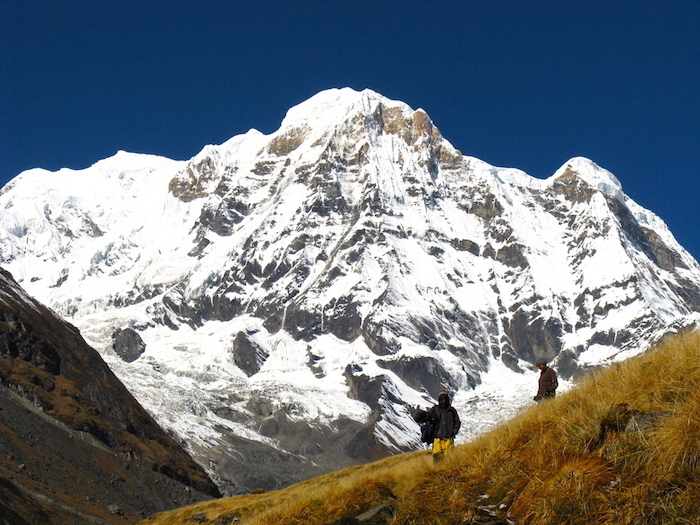 The trekking tradition began with mountaineering expeditions when Nepal first opened its borders to climbers in 1950. 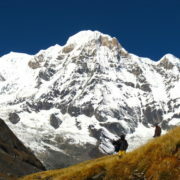 Climber after climber would return from the expedition with as much enthusiasm for the “approach march” as for the climb itself. 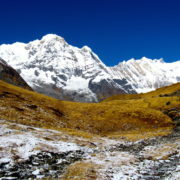 The first advertised treks in the early 1960s were based on routes and logistics developed by Sherpas for mountaineering expeditions and were strongly influenced by British ways. 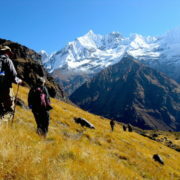 Today’s trekker enjoys an experience remarkably similar to world-class climbers’, except that it stops at the foot of the peak, often at base camp. 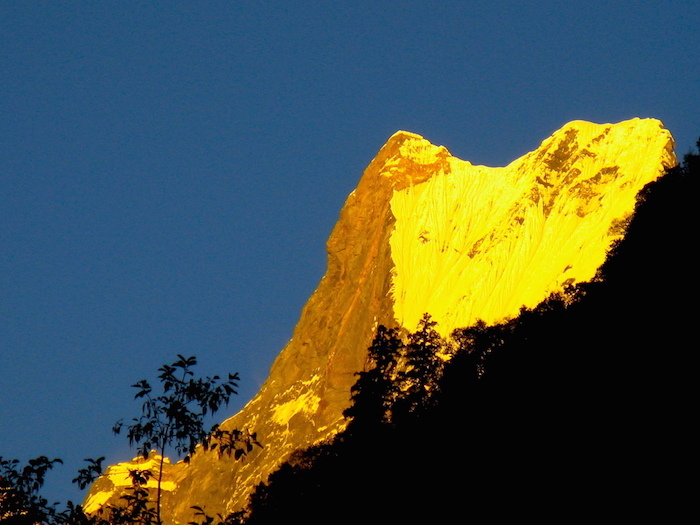 The trek to Annapurna Base Camp is one of the most popular destinations for trekkers. 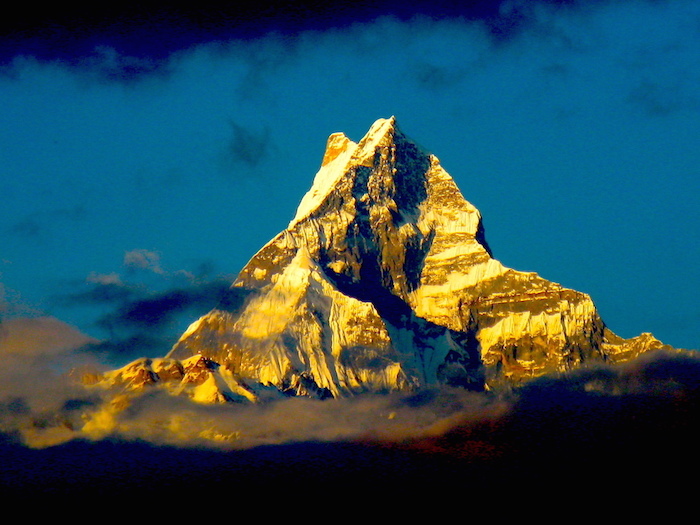 It is also known as the Machhapuchhare Trek, since it is this peak – often called the “Matterhorn of Nepal” – that dominates the skyline on most days. 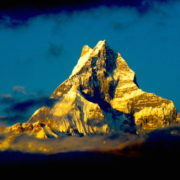 The translation of Machhapuchhare is ‘fish-tail’. 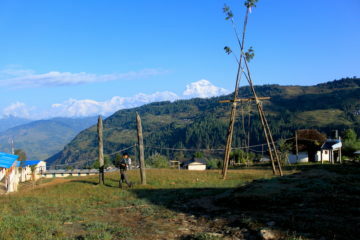 Fish Tail mountain is sacred to the local people and cannot be climbed. 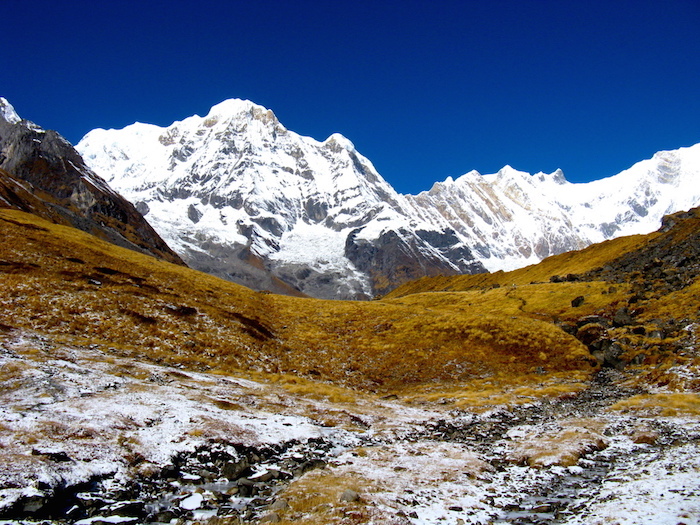 The Annapurna Sanctuary is a natural amphitheater surrounded by some of the most spectacular Himalayan peaks you will ever experience. 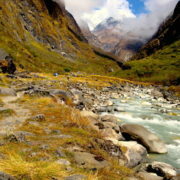 The trek involves hiking up and down the infamous ‘Gurung Staircases’ along the Modi Khola through terraced rice fields and bamboo forests to the Annapurna Base Camp. 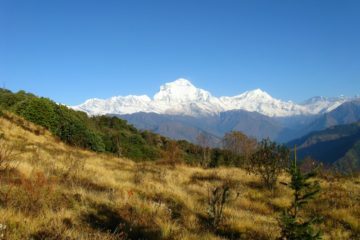 Besides views of Annapurna I, you will get spectacular views of Annapurna South, Annapurna III, Gangapurna, Fang, Hiunchuli and, of course, Machhapuchhare – all exceeding 6,350m in elevation. 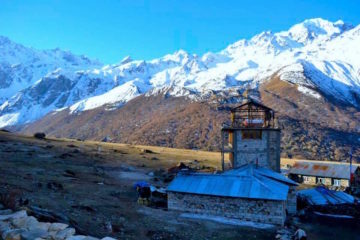 Hike through neat and picturesque Gurung villages in the Annapurna Sanctuary, the Gurungs are one of more than hundred ethnic groups in Nepal. 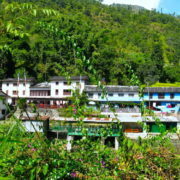 They are hardy mountain people who follow the Bon (pre-Buddhist) religion, although many are now Buddhists. 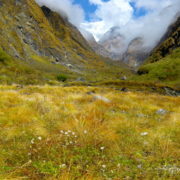 Originally, they were engaged in sheep-herding with male family members leading an itinerant life with their herds. 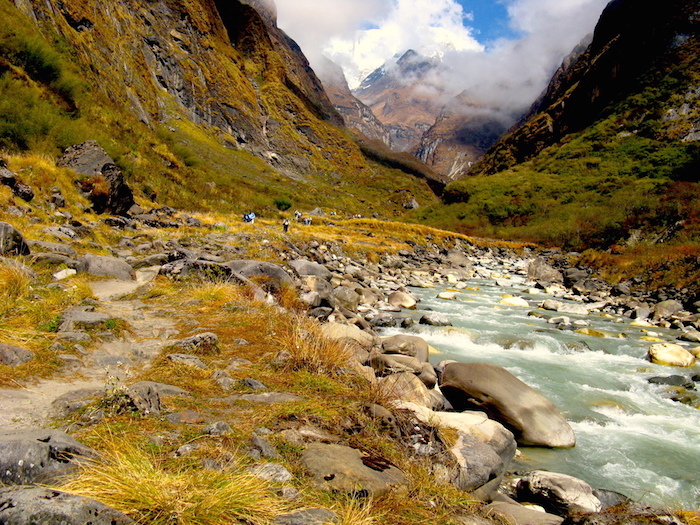 Since the 1920s, they have found fame as recruits in the British Gurkha regiments. 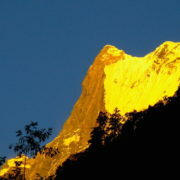 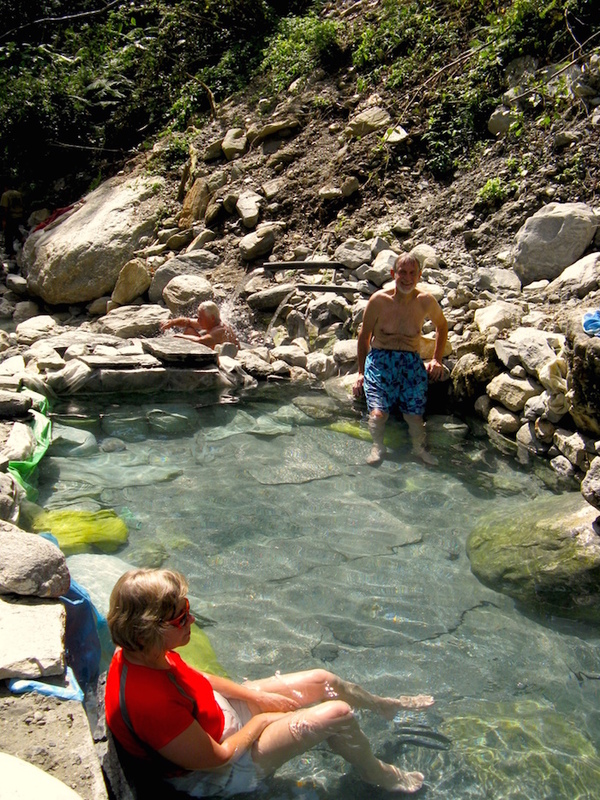 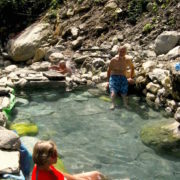 Today, they have become entrepreneurs and operate many of the tourist lodges in the Annapurna region. 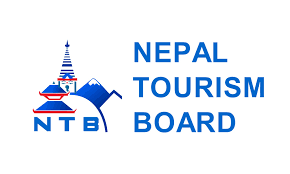 Sightseeing in Kathmandu as indicated on itinerary with guide, vehicle and entrance fees to monuments. 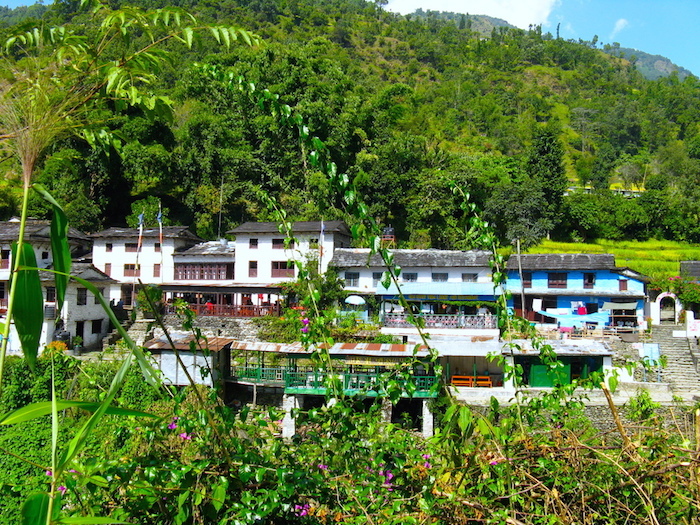 rooms with attached bathroom in Dhampus.